My gorgeous Luxembourgish friend sent me this lovely nail polish in a Christmas parcel last year, and after having finally tried it out, I thought I’d share my thoughts on it. 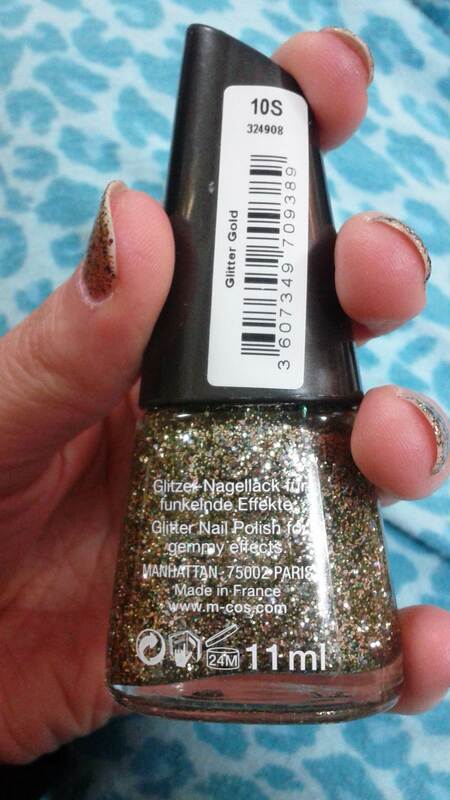 It was the first time I’d ever heard of Manhattan nail polish, and was quite intrigued by this German brand. 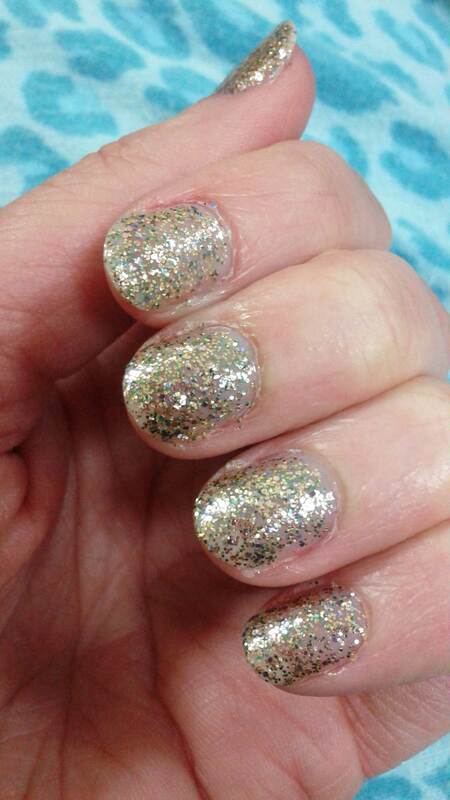 I used three coats and a topcoat, and the beautiful glittery gold sparkling on my fingertips was just so glamorous that I couldn’t stop darting furtive glances at them throughout the day. I got so many comments and compliments from both colleagues and students, that I would definitely call it a big success. In spite of quite simply adoring everything about this varnish, I was very nearly banging my head against the wall in frustration when it was time to remove it. 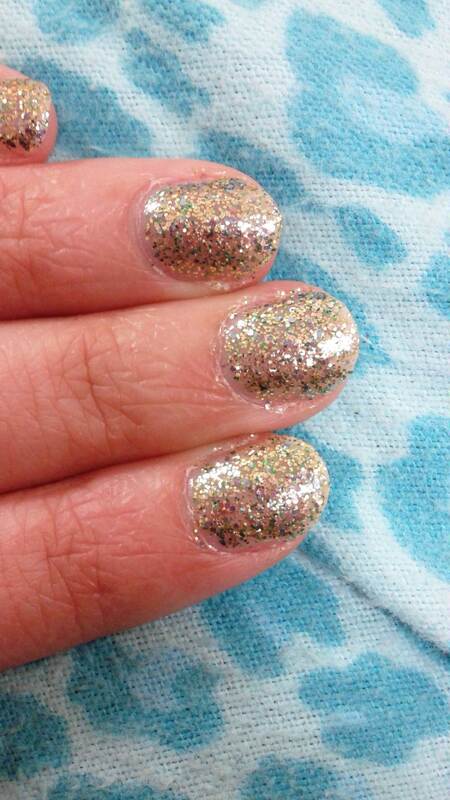 It just took ages, which is the same with any glitter polish I guess. I’m not used to just sitting around with cotton wool and nail polish remover on my nails, waiting for it to seep through enough to be removed, and thus I found it quite annoying, but once I was watching a TV show and showed a smidgen of patience, it was perfectly all right in the end. I can deal with that, and I’d love to try out more of their other varnishes if I get the chance. I can’t wait to be in the mood for Cleopatra nails again! 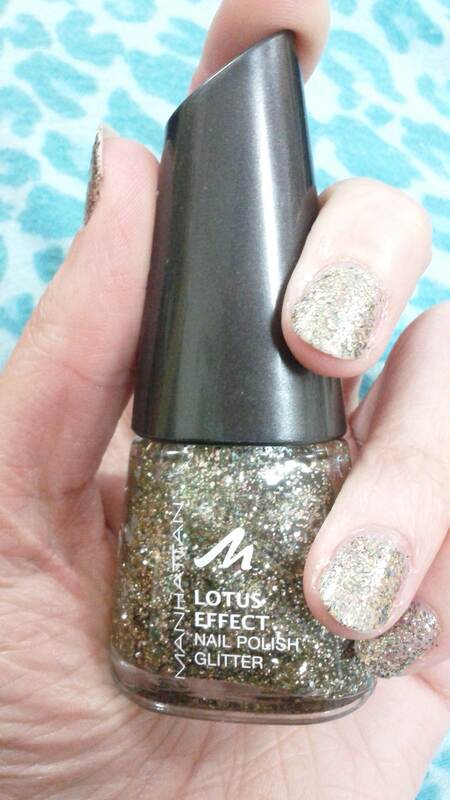 Love glitter nail varnish but hate removing it but it’s so pretty! love it, such a gorgeous look!!! I really must get back to doing my nails, I just bought hot pink nail polish, I can’t wait to try it out, but I bought some BB’s too, LOVE the cream, and I love glitter!